How much is Bas Rutten Worth? Bas Rutten Net Worth: Bas Rutten is a retired Dutch mixed martial artist, Karate and Taekwondo blackbelt and kickboxer who has a net worth of $1 million. Bas Rutten built his net worth as the UFC Heavyweight Champion and as an actor. Born Sebastiaan "Bas" Rutten on February 24, 1965, in Tilburg, Netherlands, he is currently the star of Fuel TV's street-fighting survival series Punk Payback and co-host of HDNet's Inside MMA. In his seven-year-long career as a fighter, he popularized the liver shot (both punch and kick) which was one of his favorite tactics. He has fought and defeated sound MMA names like Minoru Suzuki, Maurice Smith, Frank Shamrock, Guy Mezger, Masakatsu Funaki, Tsuyoshi Kohsaka, and Randleman. On the whole, he was named once a UFC Heavyweight Champion, three times a King of Pancrase world champ and circled his fighting tenure on a 22 fight unbeaten streak with 21 wins and only one draw. 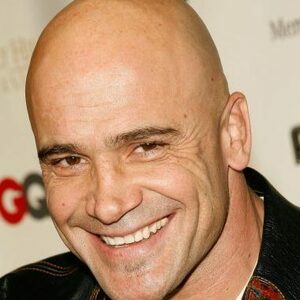 After his retirement from the sport in 1999, Bas Rutten established himself as a charismatic TV persona making appearances in numerous television shows, movies and video games. What's more, he has served as a color commentator in several MMA organizations, including Pride. Today, he lives in California with his wife Karin and two young daughters. But he also has an older daughter who lives in the Netherlands. Bas Rutten recently became a citizen of the United States.